Two Witsies will be competing in the World University Chess Championships in Katowice, Poland, which starts next week. 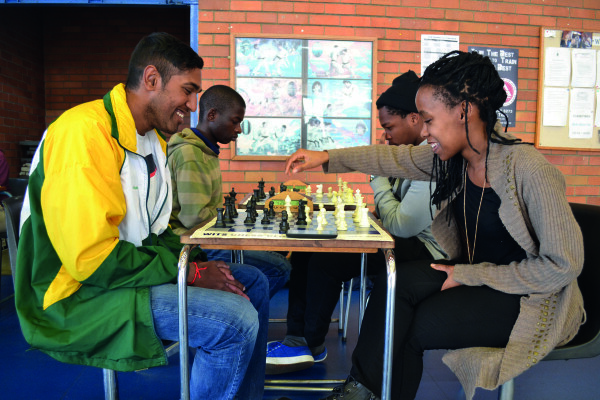 This is the first time players from the Wits Chess Club have qualified to participate in the international tournament and represent South Africa, says sports officer Tebogo Rabothata. Seadimo Tlale, 2nd year LLB, is the only woman in a South African team of four. Tlale has played chess for 17 years, since the age of three. Evasan Chettiar, 2nd year BEng, chairperson of the club, whose been playing since grade eight, will also compete. Both teammates top the University Sports South Africa chess rankings and the Wits team of 65 members. To prepare for the tournament, Chettiar says one can study the style and strategies of opponents provided on online databases. That way, “you can adapt your game based on their strengths and weaknesses”. Other than that, you can just reinforce your own tactics, he says. Rabothata says he worked hard to find sponsorship for Chettiar and Tlale to go to Poland. The sports department only contributed 25% of the funds. “We’re going overseas and we’re going to represent the university, but they’re only sponsoring us 25%; it should be the whole [amount],” says Chettiar. Chettiar and Tlale will both receive South African international colours and University international colours for qualifying. Competitors will play 11 rounds that will be judged for a score out of 11. These points will determine their ranking. Tlale founded a chess club to teach chess to primary school boys and girls from a township from her hometown in the Free State. “It was basically about affording them the opportunity to also be exposed to the kind of opportunities I get,” she said. Both Chettiar and Tlale agree that chess has influenced strategic thinking in different aspects of their lives. “[It] gives you a lot of confidence in your own mental abilities,” says Tlale.